I’ve shared before how I don’t want to get my hands dirty when I’m cooking with meat and hot peppers. I have good reasons why too. I’ve never liked handling raw meat so it’s a bit of an ick factor reasoning there. However, with hot peppers, I do it for my own safety. Have you ever cut up hot peppers and then, without thinking, reached up to rub something out of your eye? I have and the experience was horrific. My eye felt like it was on fire and I ran straight to the bathroom to rinse it out with water. I never work with hot peppers unless I’m wearing kitchen gloves. Consider it a painful lesson learned. My gloves of choice are Clean Ones Kitchen Essentials Disposable Gloves. I keep them handy in my kitchen cupboard so I can easily access a pair when required. They are specifically designed for use in the kitchen to help you with your food preparation (think hot peppers and meat!) and you can also wear them to wash dishes. They are much more comfortable and easier to move around in than those big yellow rubber gloves my mom used to wear. Each pack contains 36 disposable gloves. I recommend buying a few packs so you always have a stash available when you need them. Besides being super comfy, these high quality vinyl kitchen gloves are also tear resistant. Both are big pluses when you are working with food and need to focus on the task at hand and not on fiddling with your gloves. I slip on a pair and they feel natural to move around in and work as I normally do. 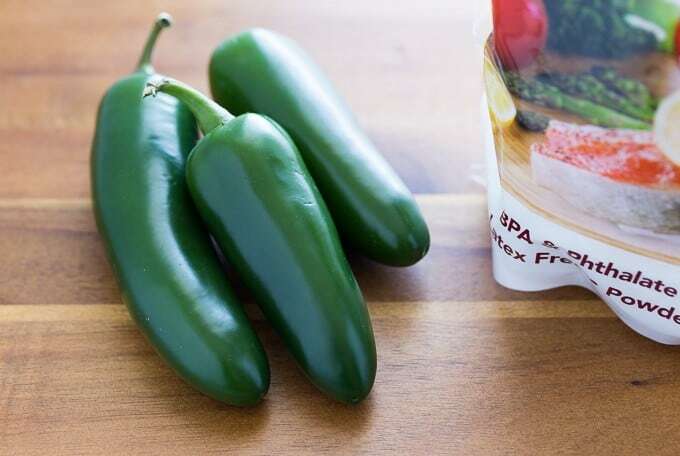 I definitely needed them to prepare these jalapenos for this Cream Cheese Stuffed Jalapeno Burgers recipe I’m sharing today. I scooped out the seeds with my fingers and chopped them all up. 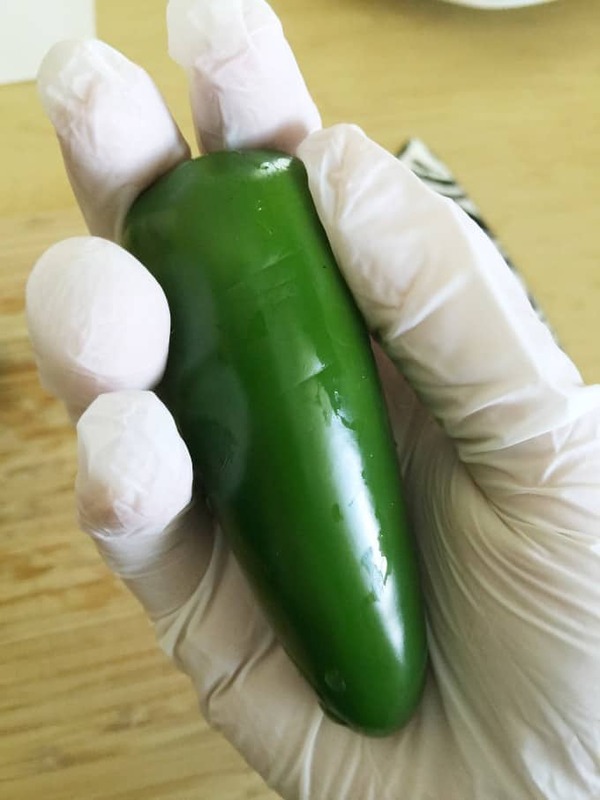 I kept the gloves on during clean up while I put the jalapeno seeds in the compost bin. No way would I ever attempt this job without them. 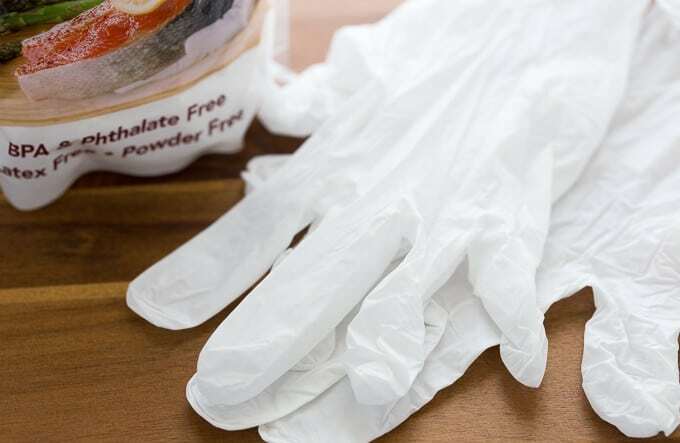 Clean Ones Kitchen Essentials Disposable Gloves are phthalate free, powder free and latex free. I’m latex sensitive so I always check what gloves are made of before I try them on. They make working with food safer and keep your hands clean and free of strong food scents. With these stuffed burgers, I had to seal the filling inside the two burgers with my fingers. It was a bit like making a burger sandwich. I’m sure my family appreciated that my bare fingers weren’t all over their dinner. 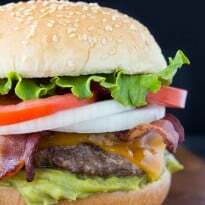 You must try this burger recipe this summer! I made Cream Cheese Stuffed Jalapeno Burgers and boy were they good! Yes, I used gloves because this was a double whammy with hot peppers PLUS meat. They turned out beautifully. Inside is a spicy, creamy and cheesy filling. It’s like a hidden surprise because you can’t tell it’s in there by looking at the whole burger. A few bites in and you’ll see what I mean! 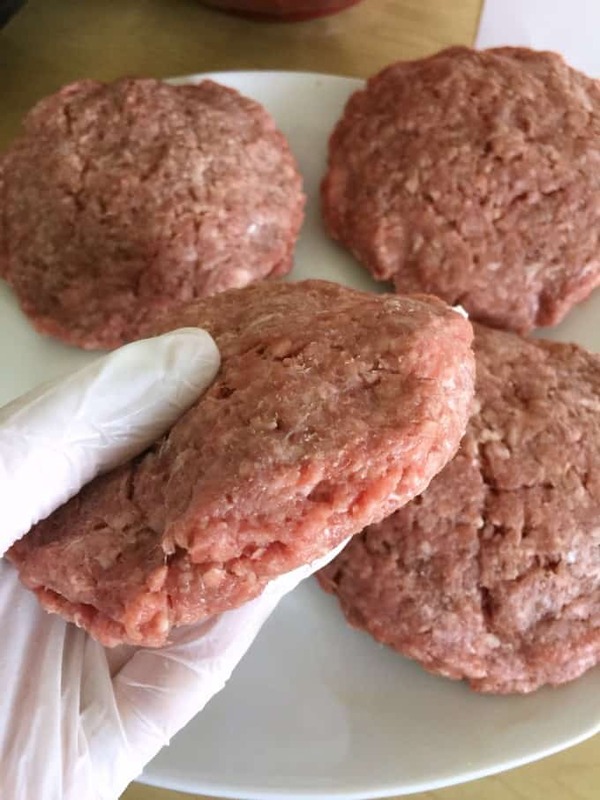 If you want to save on time, buy the ground beef that is already shaped into burger patties in the meat department at your local grocery store. Then you just need to add the cream cheese topping to one side and cover it with another burger. They take just a teeny bit of extra effort to make, but the end result is so worth it. Stuffed burgers are the bomb! Fire up the grill this summer and give this yummy burger recipe a try. 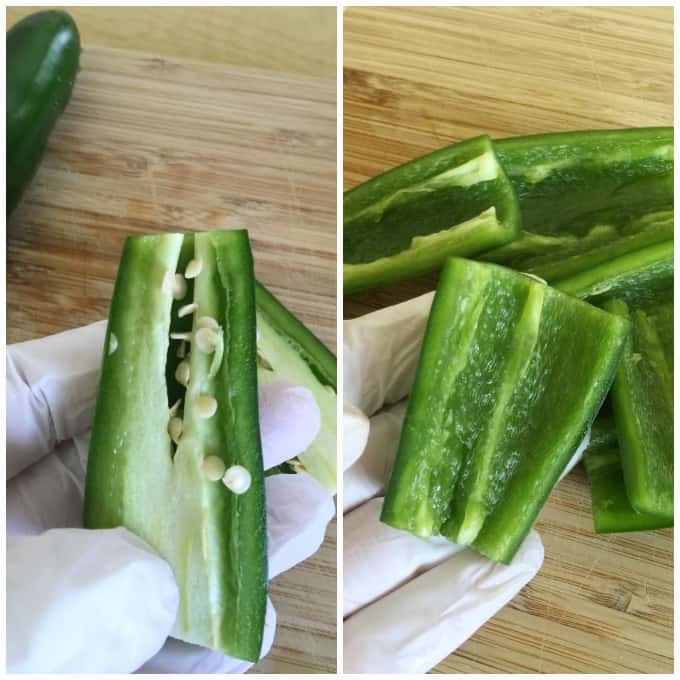 Just remember to protect yourself from the wrath of hot jalapeno peppers when you are cutting them up. Like I said kitchen gloves are a must! 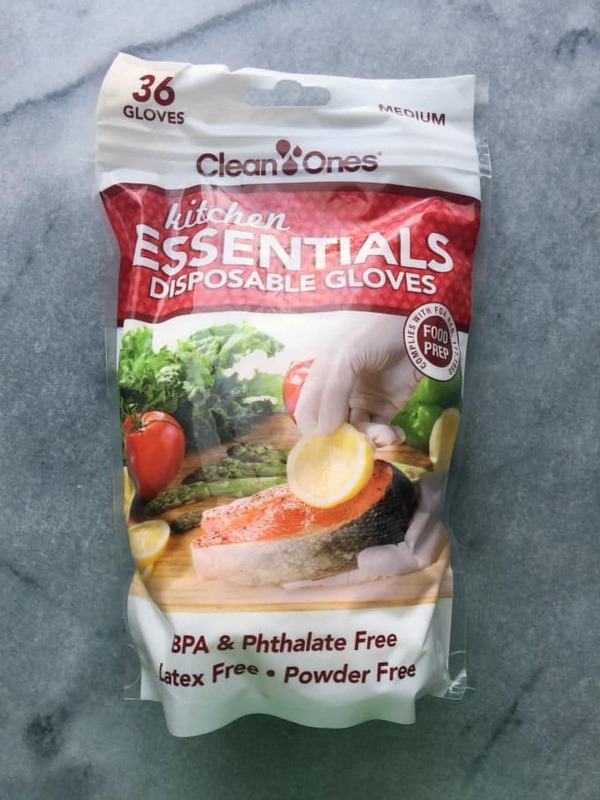 Learn more about Clean Ones Kitchen Essentials Disposable Gloves and buy a pair online or find a store that carries them near you. Do you wear kitchen gloves when working with meat or hot peppers? Stuffed with a creamy, spicy and cheesy filling, this burger will light up your taste buds and make your mouth water! Mix together cream cheese, shredded Cheddar cheese, cumin, jalapenos and green onions in a medium sized bowl. Set aside. 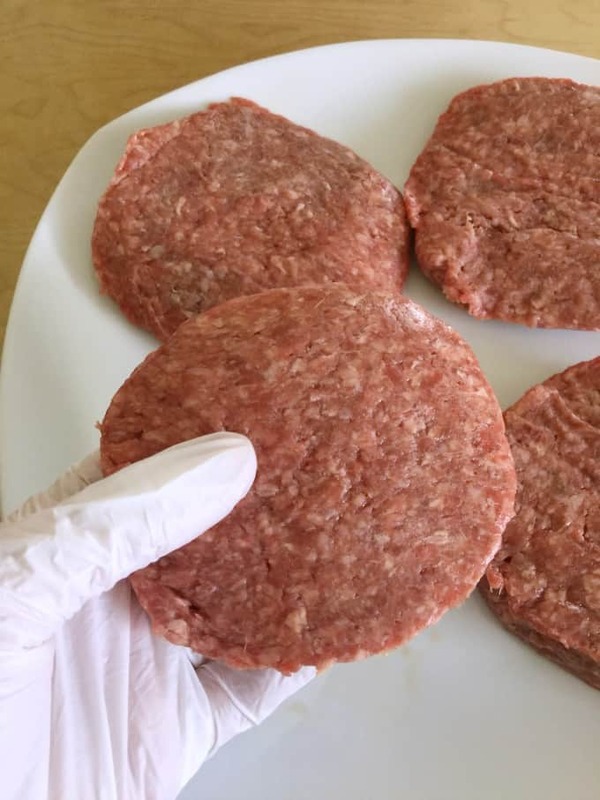 Shape ground beef into 12 3 oz portions and flatten into patties with a clean, gloved hand. Top six of the patties with a tablespoonful of cream cheese mixture. Cover with one of the remaining patties and press together with your gloved fingers to seal the edges. Grill over medium heat until they are fully cooked. I used an indoor grill and they took about 10 minutes to cook. 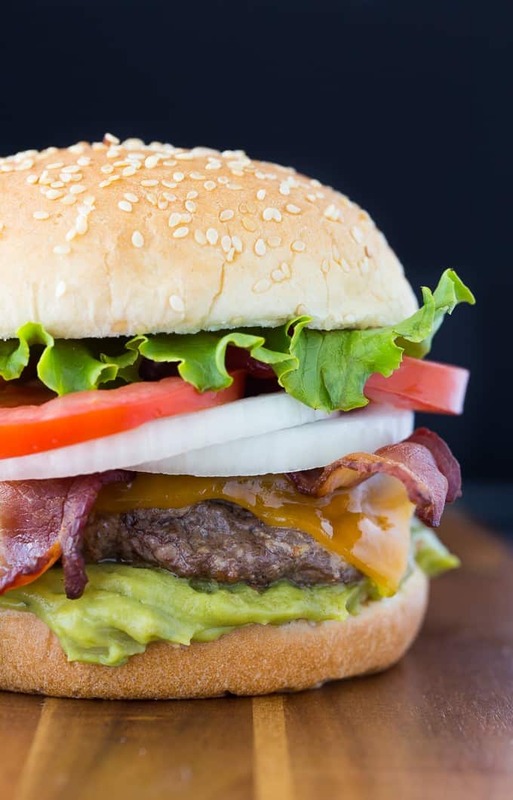 Dress your burger with guacamole, sliced cheese, lettuce, tomatoes, bacon or whatever other toppings you enjoy. All I can say is yes. Like, a thousand times yes. Love love love this burger/jalapeno popper mash up. Looks amazing! I love this recipe, this was so yummy. I substituted chicken for beef. Those look wonderful! I need those gloves – we like grilling japs stuffed with cream cheese and wrapped in bacon. Those gloves would save my hands! My husband is going to LOVE this recipe! Gloves are a “requirement” when I’m working with hot peppers! Pinned! My husband is going to love this burger. Wow! This sounds “simply” amazing!! 🙂 YUM! Awesome Burger! Hope you have a very special Fathers Day Weekend and thanks so much for sharing with Full Plate Thursday. 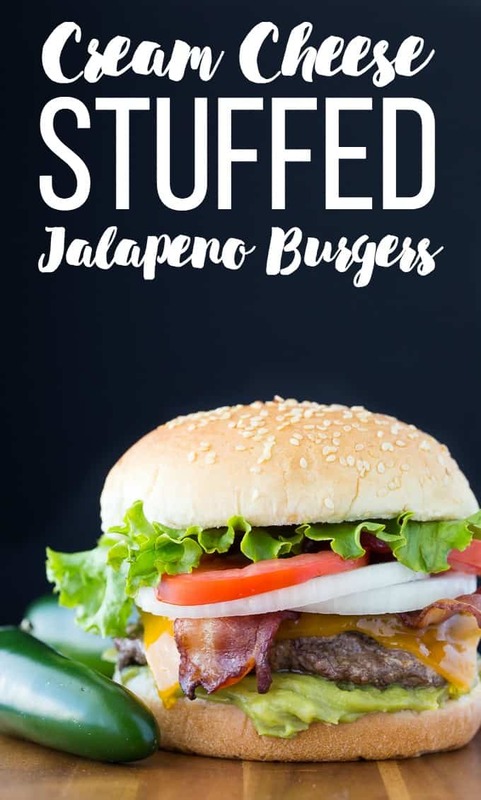 I would have to leave the jalapenos out (maybe substitute something else) but these burgers sound really good! Thanks for the idea! Oh, boy Stacie….would my children DIG these!!! Many thanks for linking up at Small Victories Sunday!!! I can’t even tell how many times I’ve wished I had some disposable gloves while cooking certain things like homemade burgers. Your recipes sounds delicious. Thanks for sharing with us at Merry Monday. Tweeting your recipe today. oh man, this is awesome. It sounds like an award winning recipe that I’d love to try. I do love anything with cream cheese, this is a combo I never thought of!!! This would be such a hit in my family. Im not a huge burger fan, but the cream cheese sounds like it would make it more my style. thanks for sharing!